The Richelieu River, with Lake Champlain and the Hudson Valley, formed a waterway leading directly to the heart of French Canada. Again and again by this route the Iroquois raided the settlements from the Mohawk country. To stem this continuous menace a chain of forts was built along the Richelieu. Fort Chambly was situated on a projecting point where shallow rapids obstructed the river. It was a square of 144 feet on each side, surrounded by a palisade of logs fifteen feet high. It was built by Jacques de Chambly, a captain of the Carignans, who was its commandant for some years. This first wooden fort gradually fell into decay, was abandoned in 1702, and burned by the Indians. 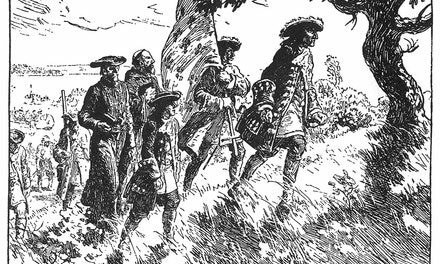 But the growing power of the British colonies and the danger from their allies, the Iroquois, made it necessary to maintain a strong fortress here as an outpost to protect Montreal. The colonists themselves undertook the work of rebuilding, and in 1710 began the construction of the existing fort of massive masonry. In 1760, after the fall of Quebec, three British armies converged upon Montreal from east, west and south. Fort Chambly, which was feebly garrisoned and short of provisions, was compelled to surrender to the force advancing from Lake Champlain. In 1921 the Fort was placed under the charge of the Dominion National Parks Bureau, and today is carefully preserved as a historical memorial. 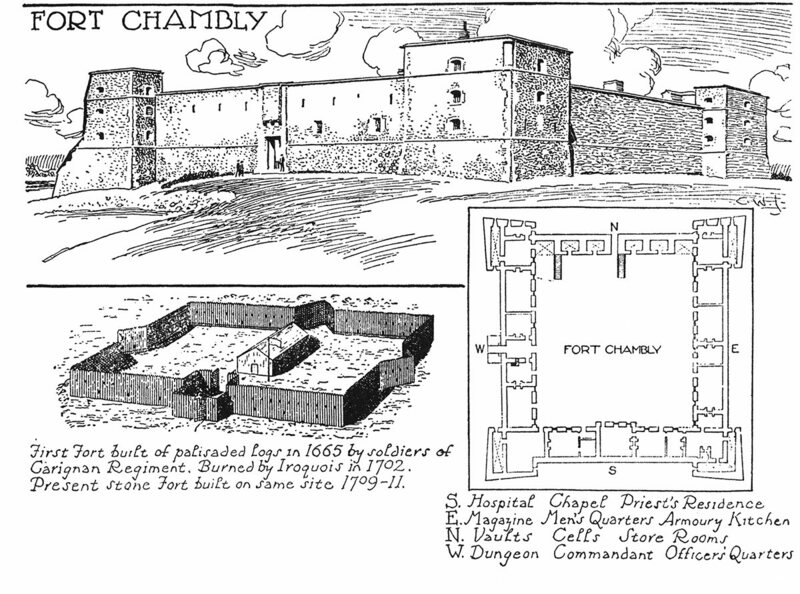 For details of its history see the Guide to Fort Chambly, published by the Canadian National Parks Bureau, Ottawa, and Le Fort de Chambly, by Benjamin Suite and Gerard Malchelosse, published by G. Ducharme, Montreal.